The Tax Cuts and Jobs Act (TCJA) has made changes to the tax treatment of alimony that you will be interested in. These changes take effect for divorces and legal separations after 2018. And, under current rules, alimony and separate maintenance payments are taxable to the recipient spouse (includible in that spouse’s gross income). Please note that the tax rules for child support—i.e., that payers of child support don’t get a deduction, and recipients of child support don’t have to pay tax on those amounts—is unchanged. TCJA rules. Under the TCJA rules, there is no deduction for alimony for the payer. Furthermore, alimony is not gross income to the recipient. 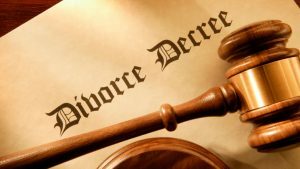 So for divorces and legal separations that are executed (i.e., that come into legal existence due to a court order) after 2018, the alimony-paying spouse won’t be able to deduct the payments, and the alimony-receiving spouse doesn’t include them in gross income or pay federal income tax on them. TCJA rules don’t apply to existing divorces and separations. It’s important to emphasize that the current rules continue to apply to already-existing divorces and separations, as well as divorces and separations that are executed before 2019. Some taxpayers may want the TCJA rules to apply to their existing divorce or separation. Under a special rule, if taxpayers have an existing (pre-2019) divorce or separation decree, and they have that agreement legally modified, then the new rules don’t apply to that modified decree, unless the modification expressly provides that the TCJA rules are to apply. There may be situations where applying the TCJA rules voluntarily is beneficial for the taxpayers, such as a change in the income levels of the alimony payer or the alimony recipient. If you wish to discuss the impact of these rules on your particular situation, please give me a call. I am writing to let you know about changes that the Tax Cuts and Jobs Act (TCJA) made in the rules for deducting home mortgage interest. Deductibility of interest on “acquisition debt.” Taxpayers may deduct interest on mortgage debt that is “acquisition debt.” Acquisition debt means debt that is: (1) secured by the taxpayer’s principal home and/or a second home, and (2) incurred in acquiring, constructing, or substantially improving the home. This rule isn’t changed by the TCJA. Pre-TCJA maximum for acquisition debt. Under the pre-TCJA rules, the maximum amount that was treated as acquisition debt for the purpose of deducting interest was $1 million ($500,000 for marrieds filing separately). This meant that a taxpayer could deduct interest on no more than $1 million of acquisition debt. Pre-TCJA deduction for “home equity” debt; maximum. Under pre-TCJA rules, taxpayers could also deduct interest on “home equity debt.” “Home equity debt,” as specially defined for purposes of the mortgage interest deduction, meant debt that: (1) was secured by the taxpayer’s home, and (2) wasn’t “acquisition indebtedness” (that is, wasn’t incurred to acquire, construct, or substantially improve the home). 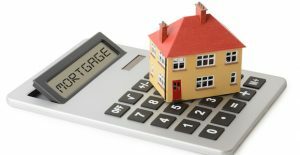 Thus, the rule allowing deduction of interest on home equity debt enabled taxpayers to deduct interest on debt that was not incurred to acquire, construct, or substantially improve a home—on debt that could be used for any purpose. As with acquisition debt, pre-TCJA rules limited the maximum amount of “home equity debt” on which interest could be deducted to the lesser of $100,000 ($50,000 for a married taxpayer filing separately), or the taxpayer’s equity in the home. TCJA decreases maximum acquisition debt. Under the TCJA, starting in 2018, the limit on acquisition debt is reduced to $750,000 ($375,000 for a married taxpayer filing separately). The $1 million, pre-TCJA limit applies to acquisition debt incurred before Dec. 15, 2017, and to debt arising from refinancing pre-Dec. 15, 2017 acquisition debt, to the extent the debt resulting from the refinancing does not exceed the original debt amount. Thus, taxpayers can refinance up to $1 million of pre-Dec. 15, 2017 acquisition debt, and that refinanced debt amount won’t be subject to the reduced limitation. TCJA eliminates deduction for “home equity” debt. Also, starting in 2018, there is no longer a deduction for interest on “home equity debt.” The elimination of the deduction for interest on home equity debt applies regardless of when the home equity debt was incurred. TCJA changes will last through 2025. Finally, it’s important to note that both of these changes—the lowered maximum for acquisition debt, and the elimination of the deduction for home equity debt—last for eight years, through 2025. In the absence of intervening legislation, the pre-TCJA rules will come back into effect in 2026. So beginning in 2026, interest on “home equity” loans will be deductible again, and the limit on qualifying acquisition debt will be raised back to $1 million ($500,000 for married separate filers). If you would like to discuss how these changes affect your particular situation, and any planning moves you should consider in light of them, please give me a call. For years, owners of rental properties that show a tax loss have had to contend with the tax law’s “passive loss” limitations. With limited exceptions, real estate rental losses may be used only to reduce passive income — the rental losses are not currently deductible against nonpassive income, such as salary. Now, owners of real estate rental properties that show a profit also face a potential tax headache. In addition to regular taxes, their profits could be subject to the 3.8% surtax on net investment income first introduced in 2013. Taxpayers who can demonstrate that they “materially participate” in their real estate rental activities as “real estate professionals” may be able to avoid both the passive loss limitations and the 3.8% surtax on rental income. However, the requirements are stringent. Very generally, a real estate professional spends more hours working on real-estate- related trade or business activities during the year than working in non-real-estate trades or businesses. 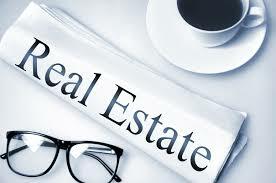 Additionally, the time spent on the real estate activities must total more than 750 hours during the year. Material participation means regular, continuous, and substantial participation. IRS regulations contain seven tests for establishing material participation. Each rental property is separately evaluated for material participation unless the taxpayer makes an election to treat all rental real estate activities as one activity. To avoid the 3.8% surtax, a real estate professional must also establish that his or her rental income was derived in the ordinary course of a trade or business. The IRS will presume this was the case if the taxpayer devotes more than 500 hours per year — or in five of the last ten years — to each real estate rental activity or to all real estate rental activities viewed as a group. Give us a call today, so we can help you determine the right course of action for you.